When the idea came to me for the following story, I found myself truly inspired by the friends that I hold very dear to my heart. These are friends who have always had an open ear and an open heart when I desperately needed them. Though we are separated by distance in miles, they have surrounded me with love and many virtual hugs. I dedicate this tale to them. He just wanted to be loved. Was that really too much to ask for? He remembered the days when he was cherished and adored beyond measure. When he was the first one she would turn to. She would tell him all about her day, the highs and lows. Wrapping her arms around him, she would whisper how much she treasured him, how she was incredibly grateful that he was there. Those days were gone. It had been so long since she had turned to him. He was forced to watch as the distance between them grew until he was nothing more than a distant shell of what he once was. Years went by and he watched as she fell in love, as she turned to the arms of another. This past year had been pure torture for him to stand by as the one she loved turned away from her, dismissing her. He ached to console her as she wept bitterly for a love that she had once thought was true. For a love that had turned out to be nothing more than a shadow of the word. But she did not turn to him, and pain bloomed in his chest where his heart would be. This night, after spending countless others huddled in flannel pajamas with a book as her only company, she was actually going out with friends. It was the Saturday before Christmas, and they were all gathering together to celebrate the festivities. He had watched as she picked up the phone time and time again to cancel. Each time her fingers would pause while dialing and she would slowly hang up. He knew what a big step it was for her to reach out to others, to join in love and laughter again. He silently urged her to go out again. To live. To love. It was time for her to get ready, and he watched as she sat in front of the mirror carefully applying her makeup. The brush swept softly against her cheeks, and her sad eyes simply stared back at her as she automatically added the color. She did the mysterious things women did to their eyes to make them appear dark and beautiful. But her eyes did not shine with joy. Instead, they were bright with tears. The simple routine of making herself appear pretty did not appease her. She did not feel beautiful. He knew that outwardly she felt as ugly as the one who had left her had made her feel on the inside. She blinked away the tears and angled her face to the mirror to draw a new brush through her lashes, accentuating the frame around her blue eyes. Finishing off with a bright slash of color across her lips, she sat back to stare at herself in the mirror. She looked like she did not even recognize the person sitting there. And he supposed that she didn’t. It had been a long time since she had even gone to the effort to wear makeup, to create the illusion of feeling pretty. She capped the lipstick and stood, the red dress she wore swaying against her too thin frame. She grabbed her purse and shoved her arms into a long, wool dress coat that she only pulled out of the closet for formal occasions, and then she was gone, the lock clicking into position as he was left alone in the dark. His eyes gradually adjusted to the darkness, and still he sat. Wondering what he did wrong, why she stopped coming to him after all of the years they spent together. If he was so loved, so adored, so treasured, why did she forsake him and leave him alone like this? What was it about him that made her turn away? It was wrong of him to question, he knew, but he couldn’t help that niggling doubt that remained. That little voice quietly echoed inside of his head and told him that if he was good enough, she would still pull him into her arms and share her innermost thoughts with him. The hours passed as he forced himself to remember all of the good memories they had shared together. He did not smile, but a place inside of him warmed at thoughts of the laughter and joy that had brought them closer together. He pushed away that pang in his chest that sought to remind him that things were not as they once were. Instead of dwelling on the past hurts and regrets, he focused on all of the good moments that he still held dear. Shadows cast by the rising moon slowly slid across the room as he waited. Finally, he heard her key enter the lock. He relaxed, not realizing that he had been partially filled with dread that she wouldn’t return this night. Her high heels clicked across the entryway and as she shrugged out of her coat, he couldn’t help but notice that she held herself differently than when she had left. Her shoulders were not slumped forward dejectedly as they often were. Her steps were lighter as she came into the bedroom, flicking on the small lamp near the bedside. It caressed the room with a soft warm glow. Her cheeks were flushed and not from the color she had applied so carefully earlier. From across the room, he could see that her eyes shone and sparkled, with no sign of the tears that she had fought against earlier. She spread her arms out and, as she had many times when she was a young girl, closed her eyes and spun around with a small smile on her lips. She came to a rest, clasping her hands in front of her, and took a deep breath. Slipping her dress over her head, she laid it over the back of her reading chair tucked into the corner of the room. She withdrew a tank top and pair of shorts from a dresser drawer and slipped into the clothes that she wore to bed. His curiosity aroused, he couldn’t help but wonder what had brought back the light into her eyes. Watching her go through her nightly ritual of washing her face and brushing her teeth, jealousy tugged at him that it was not him that brought the smile to her face. He watched, as he always did, as she drew back the covers to settle in for the night. Instead of sliding in between the crisp sheets, she straightened from the bed. He was shocked when she turned and stared straight into his eyes. She walked over to where he sat and smiled softly, running her finger down the side of his face. After all of these years, she couldn’t believe how long it had been since she had held him in her arms. Once upon a time, he was all that she ever needed. And he was always there for her, whenever she needed him. She stroked her fingers over his face again and marveled that the adoring look in his eyes was the same look he had given her when she had first laid eyes on him. She lifted the teddy bear off of his shelf, where she had placed several of her favorite childhood toys. Cradling him in her arms, she rocked him gently. She kissed the top of his head and went back over to the bed. She switched off the lamp and crawled beneath the duvet, bringing him to rest within the circle of her arms. She cuddled him against her chest, and he could feel her heart beating against his. As she had often done when she was a child, she talked to him of her hopes and dreams. She kept him tucked close to her chest, and as she drifted off to sleep, a small tear appeared. It left his glass eye and left a damp trail on his furred face. His eyes would not close; they were not designed that way. He would not sleep, either. He would keep watch over this girl that he loved with all of his heart and see that peaceful, happy dreams came to her this night. The moon shone softly through the window beside the bed, its soft light illuminating the girl and the bear as they lay in each other’s embrace. The first snowflake danced through the air, bringing with it the promise of new beginnings. 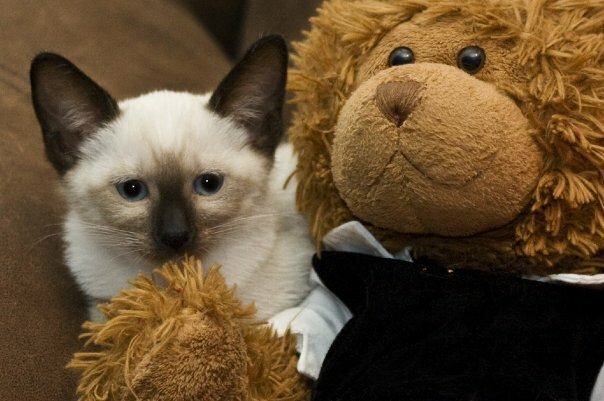 Jasmine knows how much her teddy means to her. Won’t you give yours a hug today? kind words of appreciation are always treasured, no matter the time in life. A beautiful, touching story, Janelle. Friends make our lives bright and chase away the darkness that follows us all from time to time. Teddy is a lucky bear! Sweetheart. This is so beautifully, perfectly written. An amazing piece. Well done. Brava to you. I think my heart grew three sizes 🙂 Beautifully done. Thanks for sharing this! A very touching story, beautifully written. We all need to cling to a part of us that is our childhood..